Ambrosia salad - a fruit salad named in the 1970s after the watergate scandle. 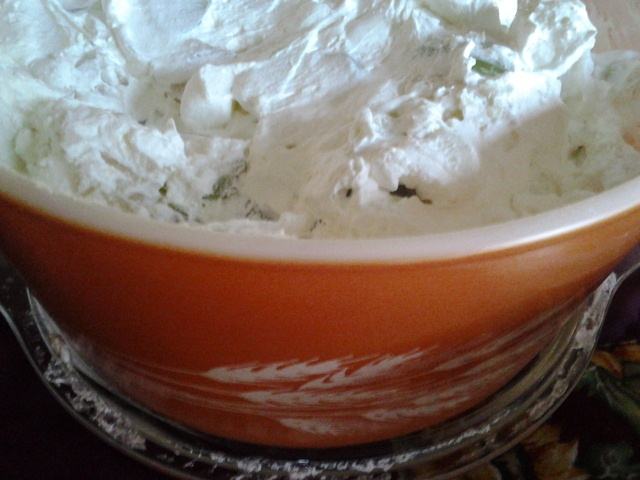 My grandmother used to make this. My mother made it like once. Now it is my turn. Who cares it is nice out and I used Autumn Harvest. I like it, sorta. 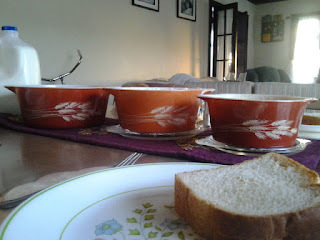 Meatless Monday took on a very retro vintage type feel. That was the goal. I made simple items more for a child's lunch than a dinner. 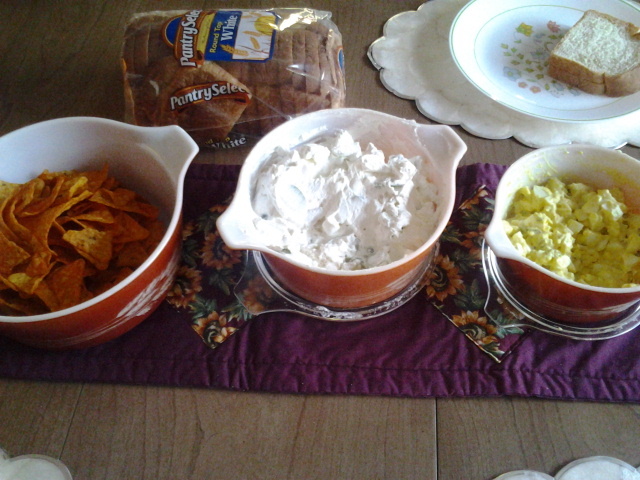 Egg salad, ambrosia, and chips (notice we love Doritos here. LOL) were the perfect combo for a stress filled Monday, after a hard days work. All 3 a reminder of the simpler times without Internet, without cell phones and without me. I wasn't even born until 1985. Plus I love that egg salad reminds me of Pee Wee Herman. I've seen Pee Wee's Big Top over a hundred times, because THM loves it! I do too. Now the meal may of not been the healthiest but it hit the spot, and I had left overs for breakfast. BONUS! This set was picked up at a tiny salvation army in Los Angeles. THM and I went up to were THH works and stopped at 2 thrift stores that day. Having never been to this one, that took 20 minutes to get to but was only 5 miles from the office, I didn't know it was metered parking. I had a nickel. It gave me 5 minutes. I don't think I've ever thrfted something so fast. And THM even found a dinosaur. And we had 1 minute left when we got back to the car. I paid $6 for all 3. Sweet deal. My grandma made that table runner. She is awesome.